Washington DC [USA], Jan 29 (ANI): House Speaker Nancy Pelosi has invited United States President Donald Trump to address the Joint Session of Congress on February 5. Washington D.C. [USA], Jan 28 (ANI): United States President Donald Trump has cancelled the annual State of the Union address, which was slated to take place on Tuesday (January 29), authorities confirmed on Monday. Washington (US) Jan 26 (ANI): United States President Donald Trump on Friday night (local time) signed the short-term spending bill formally bringing an end to the 35-day partial government shutdown without getting new funding for a Mexico wall. Washington D.C. [USA], Jan 25 (ANI): There seems to be no end in sight for the partial government shutdown in the US, with the Senate failing to pass two funding bills which would have reopened the government. Washington D.C. [USA], Jan 23 (ANI): Senate Majority leader Mitch McConnell struck an agreement with Minority leader Chuck Schumer to vote on the two proposals suggested to reopen the government which has been shut partially for over a month now. Washington [USA], January 21 (ANI): Amidst the US government shutdown, federal employees and their supporters have been setting up GoFundMe campaigns to get help with expenses. Now, the crowdfunding site has decided to launch its own campaign to help the workers. Washington D.C. [USA], Jan 17 (ANI): Cardi B, who never shies away from speaking her mind, opened up about the ongoing government shutdown. 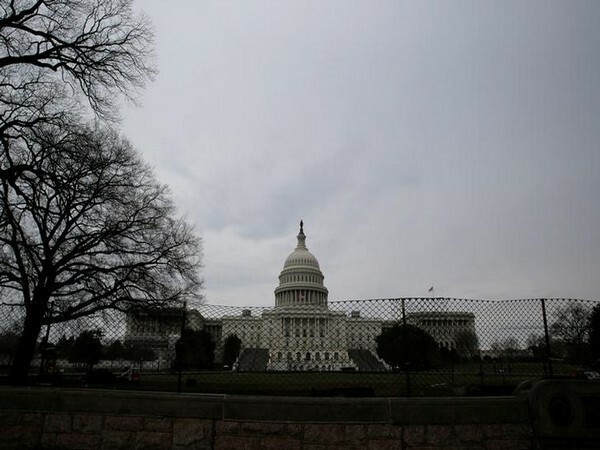 Washington D.C. [USA], Jan 13 (ANI): The ongoing partial government shutdown in the United States of America broke the record of being the longest in the history of the country as it entered the 22nd day on Saturday (local time).